Every device that connects to the Internet; whether it’s a Computer, Smartphone, Chromecast, or even a Smart TV; they all have unique identifier hardwired in their Network card. This unique ID is a 12 digit alphanumeric key called — MAC (Media Access Control) address. A typical MAC address looks something like this — EB-52-02-F0-2E-06 and since it’s unique for each device, it’s often used to identify different devices on the network. Now, even though the MAC addresses are hardwired in your network card, You can still change it with the help the help of special tools or commands. But Why Change MAC Address? Privacy — When you connects to the internet, the web server can not see your MAC address. But other devices on your Local Area Network can. So, if you want to be anonymous on a public WiFi then change your MAC address make sense. MAC filtering — Most Airlines or Hotels, automatically disconnect the Internet on the devices after some time. They do this by identifying the MAC address. So, if you change your MAC address, you can continue using the internet. Run Software – Some software detect your MAC address, and send it to their web server. So, if you can not open certain websites (mostly gaming), you may consider changing your MAC address. So, let’s see how to change Mac address on Windows, Mac OS, Linux and Android. Or watch this video at the end of this article. Since most of us have more than one network card (like WiFi and Ethernet etc), there will be multiple MAC address on your computer. So first, you need to find out which MAC address we want to change. To do this, open up cmd, and type in the following command and hit enter. Scroll down the list, and you’ll see a couple of Physical Addresses (in Windows MAC address are called Physical address). Now, the one that has an IP address link to it is the one you are using right now. If you are using the Internet from WiFi, it’ll be the MAC address of the WiFi adapter. Now, write down that MAC address, we’ll need them later on. So, open up device manager by typing devmgmt.msc in the Run box. A new window will open, there go to the network adapter and expand it. Find your Wireless Network card and right-click on it then click properties. Another new window will open, click on the Advanced tab and select Network Address. Then click the value button and enter the new MAC address, without any special character or colon in between. I suggest you copy paste your old MAC address (the one you have written down in the previous step) and replace the last two digits. This is a good practice as it’s easy to remember your new MAC address and don’t cause any conflict on the network. Also, if the value tab is unclickable, it means your network card don’t allow changing MAC address. To check, if you have successfully changed your MAC address, again open up cmd and do ipconfig /all. You should see new the new MAC address this time. Note: Changing MAC address is temporary. If you restart your computer, it will automatically switch back to the previous MAC address. But, if you want to keep the MAC address permanent, use software like Technitium, and check mark the options that say — Make the new MAC address persistent. Changing MAC address on Mac OS is done using a command line, so see how it works. You will see different MAC addresses of each network adapter. To find out, which one you are using, look for the MAC address that has IP address link to it. This will be your current MAC address. Also, make a note of your interface name like — en0 or en1. We will need this later. Alternatively, you can find your MAC address by going to the System Preference > Network > Current Connection > Advanced > Hardware. To change MAC Address on MAC OS, open up the terminal and type in the following command. Obviously, replace the a1:b1 part with the MAC address you want to have. And once you are done typing the command, hit enter. Since this is a sudo command, you’ll also have to enter your login password. And that’s it. Now, to check if you have successfully updated your MAC address, type in ifconfig or go to the network settings in system preferences. You should see your new MAC address there. Note: Like Windows (or for every OS), changing MAC Address in Mac OS is also temporary. Once you restart your computer, you’ll get back the previous MAC Address. To make it permanent, you can use some MAC Address Changer Script and put it in your startup folder of your MAC. Something like this, though I haven’t tested it. Now since there several version of Linux distros, it’s not possible for to cover every one of them. So, we are going with the popular Linux Mint. Though the steps should be similar, for all Debian based OS. Since Mac OS is built on Linux kernel, the steps for finding and changing MAC address is similar for both. So, to find MAC address on Linux OS, open up terminal and type in the following command. This will give the MAC Address of all the network cards on your computer. Find the one, you want to change. 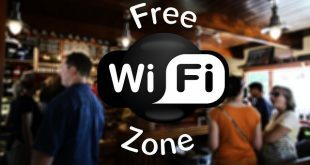 If you are connected to the internet via WiFi and want to change MAC address of your WiFi card, then look for the MAC address that has an IP address link to it. And write it down, along with the adapter name i.e. — eth0 or eth1 etc. Now, to change MAC Address on Linux, open terminal and type in the following command. Replace the eth0 with the name of the Adapter whose MAC address you want to change. And a1:b1.. with the MAC address you want to assign. So, this first command will disable the network adapter, next we’ll change the MAC address and then restart the adapter once again. To confirm changes, type in ifconfig in the terminal, and you should see the new MAC address. 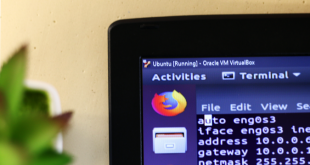 Note: Like Windows and Mac OS, changing MAC address on Linux is also temporary. So, to make it permanent, go to /etc/network/interfaces and add the following line in the end. Changing MAC Address on mobile devices are slightly more complicated than Desktop OS. And since Android is also based on Linux kernel, you’ll have to use a sudo command in the terminal. Which means to change MAC address on Android, you’ll need ROOT access. There is no other way. To find the MAC address on Android, go to Settings > About Phone > Status. And look for WiFi MAC address. You can also copy it to the clipboard, by long pressing on it. 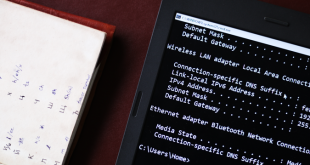 Now, to change MAC Address on Android, you have two options — either use a terminal app and type in few commands like we did for Linux OS, or use a dedicated app to do that. For this instance, we’ll go with the simpler method i.e. using a dedicated app. So, go to Play Store and install Change My MAC. Out of many application I’ve tested, this one works quite well. So, install the app and open it. Now in the app, you can either generate a random MAC address. Or do what I do — copy paste the old MAC Address and replace the last two characters. Next, save changes and that’s it. You have successfully change the MAC address of your Android. Note: Like the other two, this is also temporary, when your restart your device, your phone will revert to old MAC address. Though unlike the desktop, we don’t restart Smartphone that often. In the recent version of iOS, Apple has made a lot more difficult to change MAC address on iPhone and iPad. You’ll need jailbreak and even then there is no guarantee of success. Overall, not worth it. There is no big reason why you want to change the MAC address of your routers. But if you want to do it anyway — see if your router supports it or not. If it does, you’ll find clone my MAC address option in the advanced interface settings. Or, you can install a custom firmware (like OpenWRT). Usually, changing MAC address is quite simple. All you have to do is type in few commands from the terminal or use a software. Though do note, that changing MAC address is not illegal, but what you do with can be. And even if you change your MAC address, you are still not anonymous. Next [Sponsored] KeepVid Pro: Download Any Video From the Internet?